My spouse works to 10pm two night a week. On those nights I take dinner to him. I try to make it by 6pm – normal dinner time for us city folk. Quite often I do. I was a little late starting this meal or I would have made my time again. Cooking did take only 30 minutes from dead start to “dinner’s ready.” I was just a little late on delivery. 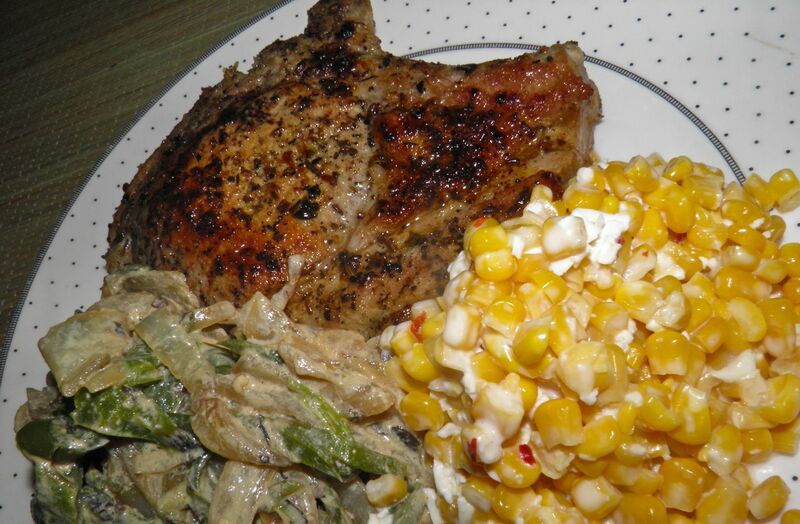 These three recipes came about for a meal because I had pork chops in the refrigerator. 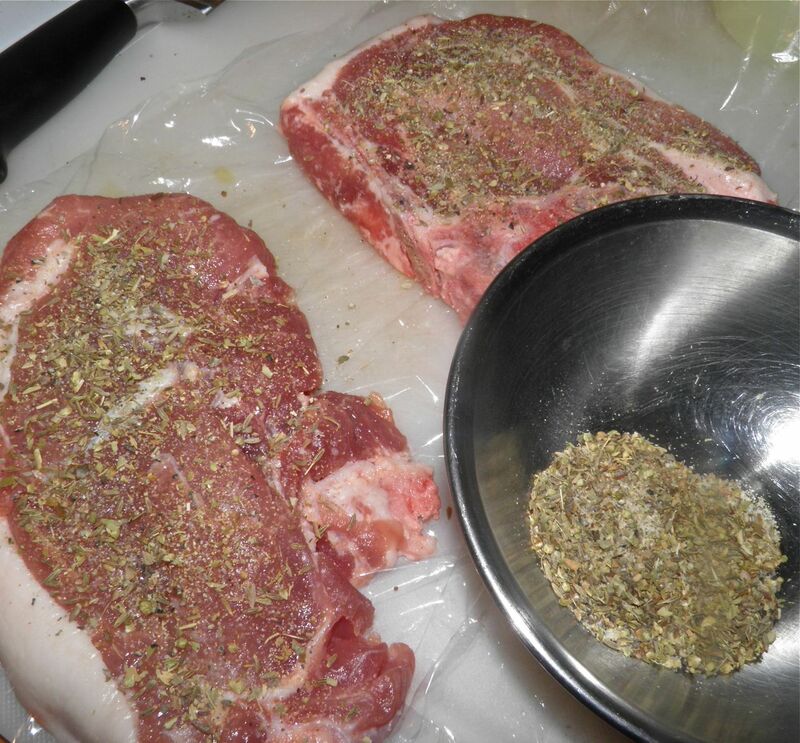 I found a recipe for a Mexican-style spice rub that sounded great and easy. From there it was my mission to find some authentic side dishes. I did, and this is the result. As I said yesterday, I only write down ingredients, not quantities. My scraps of paper look more like shopping lists as opposed to recipes. It’s up to me to judge how much of what to use, and when. That may sound odd and daring when it’s not North American food, but it’s not. I find it kind of odd that anyone would think it’s all that difficult to pull off a multi-dish dinner from another culture’s cuisine. Someone from a different ethnicity than ours may find meatloaf, pudding and scalloped potatoes a near impossible task. It’s all in your perspective. Simple, homey food is simple, homey food wherever you're from – able to be made and brought to the table without killing the cook. These recipes are not complex, just different than what we’re used to. Don’t worry about having to make all three dishes at the same time. If you’ve ever cooked meat and boiled a few vegetables for dinner you’ll be fine. Each recipe has only a few ingredients and timing dovetails perfectly with each other. Hold on to your apron, because directions for all three recipes are listed as they need to be done to make the whole meal. 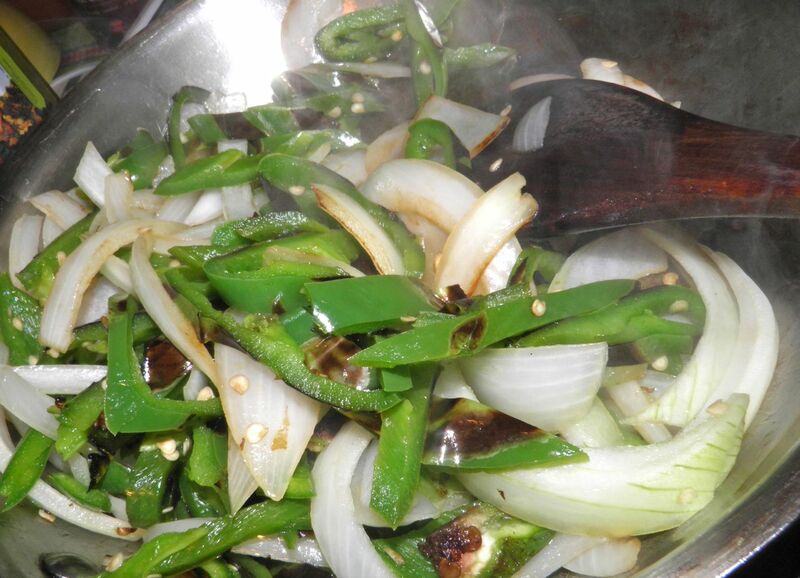 First, blacken the peppers by placing the tablespoon of oil in a cast iron pan. Press the peppers beforehand with your hands to flatten them. Place the flattened peppers in the pan and put something heavy on top (like another cast iron pot). Cook until they are scorched on both sides. Remove from the pan, pull out the tops, and slice. While the peppers blacken, place the corn in a small stock pot and slowly bring to a simmer. 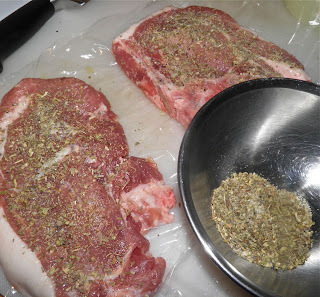 Mix the pork spices in a small dish and sprinkle half on one side of the chops. When the peppers are out of the pan, put the pork in – spice side down. Cook until browned on one side, spice the other side, turn and brown again. Tent with foil, reduce the heat and let finish cooking through until 165-170°F. Meanwhile… add the sliced peppers to the onion. Sauté for a few minutes and then add the salt and cream. Let the cream cook until it reduces enough to cling to the onion and peppers. Drain the corn and toss with the butter. Grate the cheese and add to the hot corn. Then stir in the mayonnaise, red pepper flakes and lime juice.